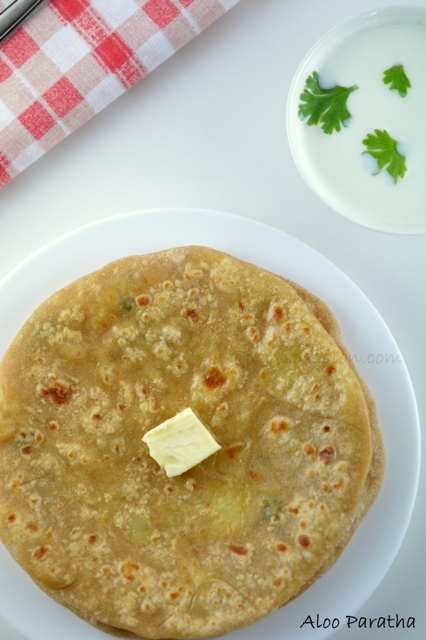 Aloo Paratha is quite simple and popular paratha. 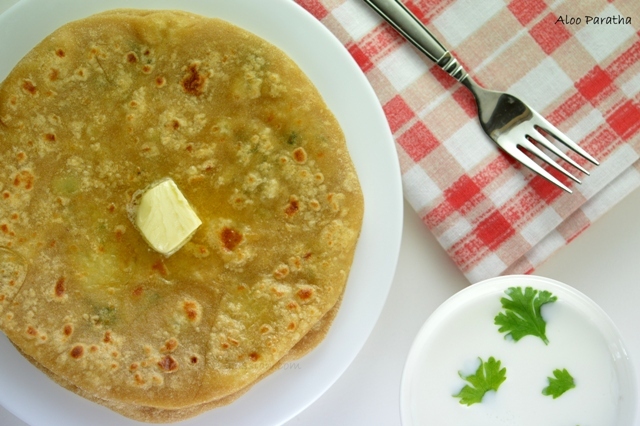 The paratha is made with whole grain flour and stuffed potato will give a right nutition for a healthy breakfast or a brunch. Aloo paratha is all time favourite in my family and we people will die for that one. When I tried for the first time, I searched for the actual recipe and i have done as it is. But my kids wont like that much. 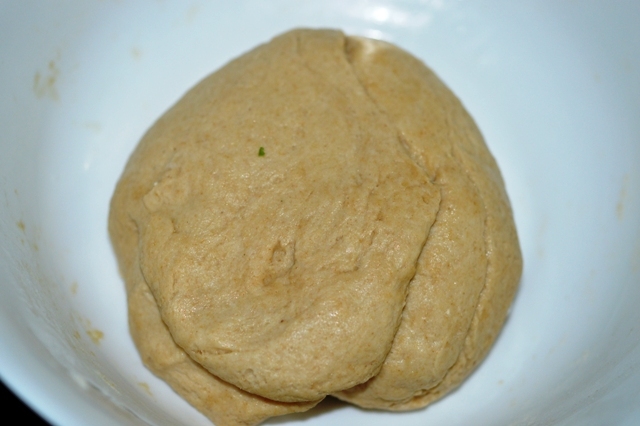 So i decided to try in different style by adding some more masalas, onion, ginger garlic paste etc..
Take a bowl add the wheat flour, salt and 1 cup of water and mix well to form a dough. Cover the dough with a bowl and keep it aside. 1. Boil the potatoes until soft. Heat 1 tbsp of oil, add the finely chopped onion and saute well. 2. Add the ginger garlic paste and finely chopped green chilli saute well until raw smell goes. Mash the potatoes well and then add the mashed potatoes into that and mix well. 3. Add the coriander powder, garam masala and salt to it and mix well. At last add finely chopped coriander leaves to it and mix well then switch off the stove. Make the Potato mixture into balls of equal size and also the dough into same size of balls. 1. The a dough ball and make a flat small circle then put the potato stuffing ball in center and close as shown below. 2. Seal and close the end and roll over the dough into flat as we do for chapathi. 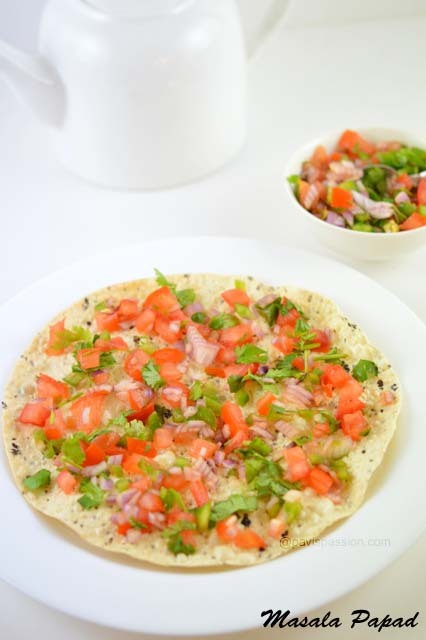 You can do thin or thick parathas as you like. 3. 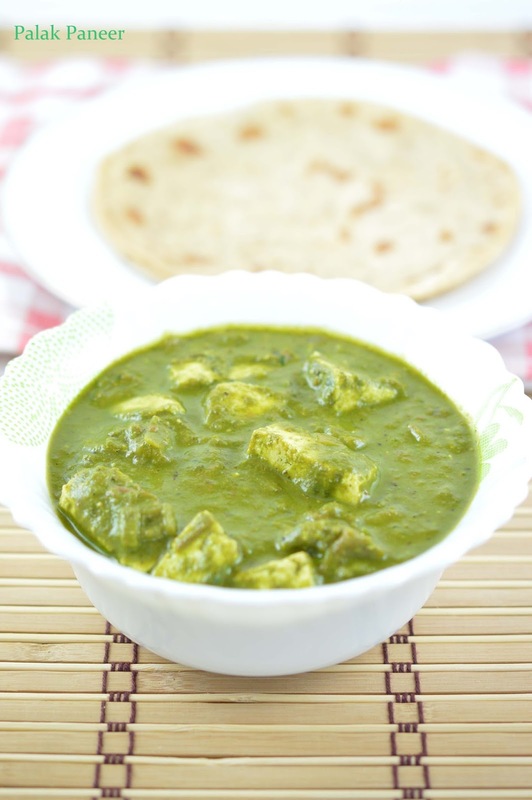 Heat a pan, toast the parathas with little butter or oil of your choice until cooked well. 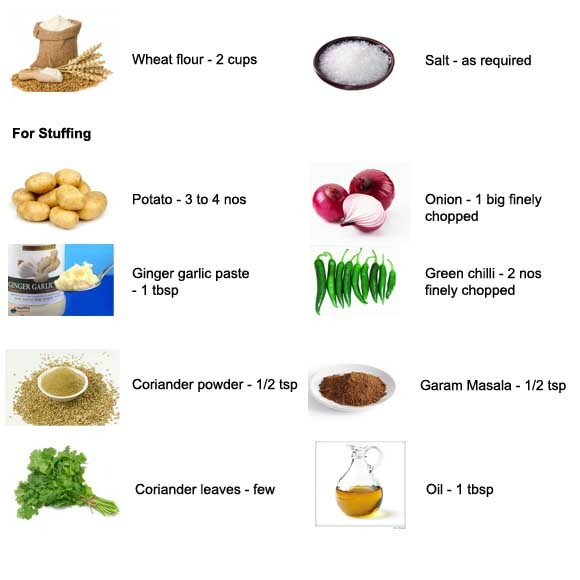 Serve hot with butter, curd or any gravy of your choice.